Get DodMETS done. Immediately. If you completed Summer Seminar and they gave you a candidate number, that means they’ll invite you to take the medical exam. If you’re healthy, don’t wait. Who knows what happens later. You can take this as soon as you have a candidate number. For information on the Candidate Fitness Assessment, click here and then here. This was given during Summer Seminar. If you passed, you’re done. If you didn’t, you have until you submit your application to pass. Check out what’s required and make sure you’re prepared. It’ll feel good in September to have that out of the way. Set up a binder to keep all of your application material together. 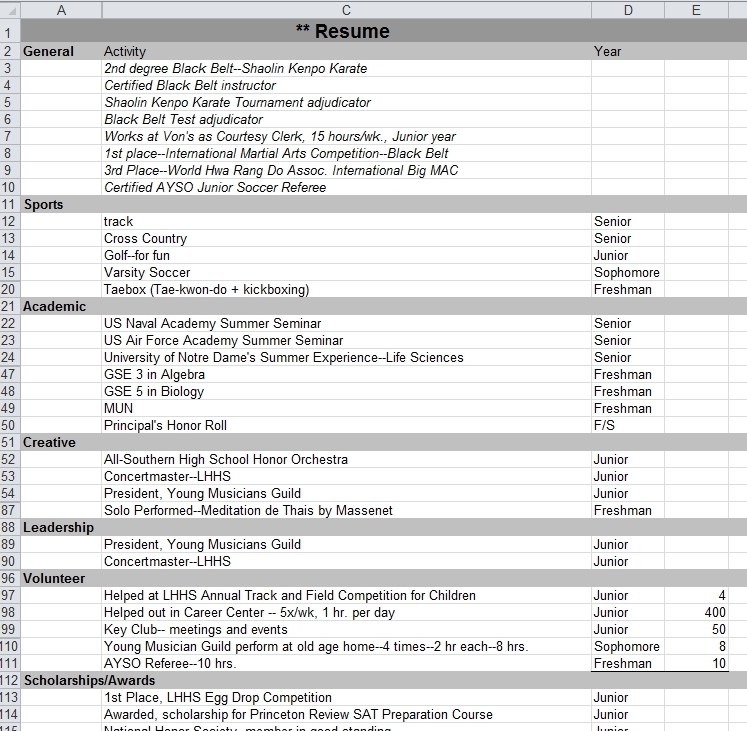 Make a tab for every activity, i.e., CFA, Congressional Interview, online Preliminary Application, etc. Can you do this digitally? Sure. That’s on USNA.edu. A preliminary application must be submitted to become an official candidate for next year’s entering class. January is the deadline to complete a preliminary application if you want to be included in next year’s application process. Make sure you’re prepared to pass Senior Year. If you’re over 1400, you’re doing great. If you’re not, take it as often as possible. There’s a trick to the test that you’ll figure out as you take it over and over. A lot of colleges offer PSAT-type tests for free. Take advantage of those opportunities. That’ll keep costs down and provide feedback on what you should work on. Check out the Marine Corps summer reading list. Determine which colleges serve you best. A word of advice: Have backup schools to USNA. Even if you’re accepted, you want to know it’s the best choice for you, so investigate the competition. Make an informed decision. Take every opportunity to be a leader. The Military Academies want to see you as a proactive, can-do person, not a follower. Officers are the ones who make things happen and inspire the enlisted to do their best. Be that person. Most colleges want to know you give back to your community; Military Academies are no exception. Do as much as you can. Give as much of your time and labor as you can afford. No, it doesn’t mean you do less in academics or sports. Figure out how to do it all. That’s the kind of person USNA, USAFA, USMA, and all military academies like. « Celebrate July 4th in America!